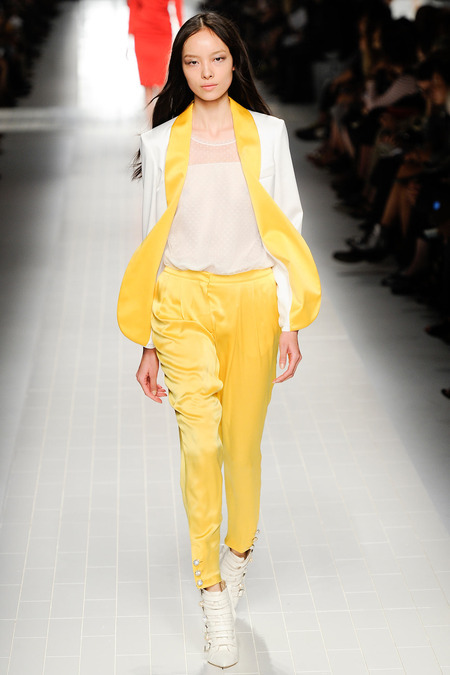 One of the gems of Milan Fashion Week is Anna Molinari’s Blumarine Fashion Show. She is always casts a shows of the best catwalk models and continues to show off over skills as a leading fashion designer in Milan. This season’s opening look was a two-piece, white cropped jacket with with a laser-cut skirt. The entire collection had softness to it whether it was a floral embroidered top on a see-through fabric, floral printed skirts, halter dresses, or bold dresses in the lightest materials created by Molinari.